Web 2.0 marketing actually involves a lot of interesting and fun aspects that will surely make you feel as if you are not working. 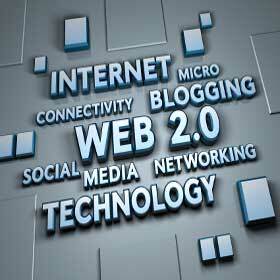 However, at the end of the day, your goal for all Web 2.0 projects should still be to earn some type of return. Now, you don’t exactly need to get returns overnight. In reality, it might take months or even a year to realize your goals. Nevertheless, your end goal should still be a return. Keeping that thought in mind, you have to think about how you can make your Web 2.0 ventures more profitable. One way you can do this is to cut down the amount of time you spend doing things that aren’t profitable. Let us look at an example. Let us say you have a Facebook and Twitter account. Every day, you might get several Facebook friend requests, Twitter follower requests, and other requests. You might want to accept these requests as they come. However, accepting all invites once a week is actually more beneficial. This way, you will be more focused on doing other tasks, and your schedule will be more consistent.